This ends my first year blogging 5 days a week. It's been really fun, 535 posts later. Thanks for reading, everyone. May 2012 bring all of us fulfilling employment, friends and family. See you on Monday. It's an interesting process transcribing a conversation into written text. Conversation is so fluid; it's as much as about the way things are said as what is being said. Emphasize that this was a tragic accident, not a crime. Express that this criminal proceeding is shockingly unfair and unwarranted. I find the moral/ethical aspect of this strategy troubling; it seems wrong to me for an institution to attempt to avoid blame by washing itself of responsibility for the incident. But it's the adversarial nature of our legal system (not that I would have it any other way!) that seems to general maximalist positions in the other direction from the prosecution. I'll be revisiting this conversation, I suspect. It's the longest bit of talking that I'm aware of from UCLA's perspective. Russ Phifer's comments from a safety officer and chemistry perspective are valuable, as is the legal perspective of law professor Laurie Levenson. There's also a bit of news in the matter in that UCLA is providing counsel for Professor Harran; that's an interesting decision on both their parts. I wonder if there will be a severing of those ties, if things go poorly. Under the jump is my transcribing of the conversation. The interviewer is Larry Mantle, the host of KPCC's AirTalk. I've tried to be as faithful as possible to the conversation, but I've cut out all the ums and ahs. Any mistakes are mine and mine alone. He said that Sangji was experienced, a professional chemist and chosen from "hundreds of applicants" for her position. Editorial comment: Come on! You have GOT to be kidding me. If this is the line they're going to be using, they're in deep kimchee. Also said that this was relevant to "justice"
He said that UCLA would be providing Professor Harran with counsel. He made no indication that they were interested in settling with the LA County DA. “Sangji was an experienced chemist” – She was experienced in one specific context, which is that she was experienced for a 23-year-old who had graduated the previous spring with a bachelor’s degree in chemistry. She was no more experienced than a first- or at most second-year graduate student. Also, I wanted to bring attention to Captain Pegleg, who wrote an interesting post on his concerns with industrial chemical safety. In retrospect, someone should have looked over Ms. Sangji and warn her that giant syringes are terrible for air-free work and that a much better choice is using a graduated addition funnel with a septa and a canula transfer under positive pressure. I, too, use plastics with Li reagents...but these plastics we are using have a luer lock... Unfortunately, those giant 60 mL syringes 1) are not luer lock, and 2) effing difficult to control the plunger. I HATE using them. 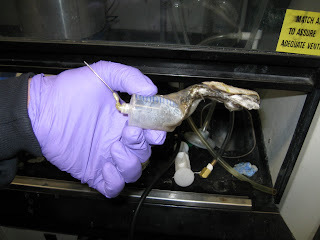 Cannula is the way to go if you are going to transfer that much of a reagent. For large transfers of liquid in the lab, you're much, much, much better off using a cannula transfer. Young chemists (and old! ), learn the lesson of Sheri Sangji and take note. Good morning! And welcome to the last DPT of the year! Between December 27 and December 28, there was 1 (one) new position posted on the ACS Careers website. Of these, 1 (100%) was academically connected. Uh, there you are: It's the holiday season and it's slim pickins. But there is a research assistant professor position at UT-Southwestern in Dallas, TX. You again: On Monster, Dymax Corporation (of Torrington, CT) has been looking for a M.S. chemist to be a researcher in adhesives development. "Experience in optical lamination adhesives or moisture curable adhesives are required." A broader look: Monster, Careerbuilder, Indeed and USAjobs.gov show (respectively) 232, 609, 2,514 and 42 positions for the search term "chemist." See you in the new year! Recap: On December 29, 2008, Sheharbano 'Sheri' Sangji was working as a research technician in the laboratory of Professor Patrick Harran at UCLA. She was severely burned during the transfer of a 1.7M solution of tert-butyllithium (in pentane) using a 60 mL syringe and a 1.5 inch needle; the procedure called for 159.5 mL of tBuLi. She was intending to generate vinyllithium for the addition of a vinyl group to a ketone to generate a tertiary alcohol. The syringe came apart and the tBuLi (naturally) ignited. She was wearing a polyester sweater, which caught on fire. Her labmates used a lab coat and water from the sink to put out the flames. She was transported to the hospital, where she died of injuries from her burns on January 16, 2009. The news: Yesterday, the LA Times reported that Professor Harran and the UC Regents are both charged by the LA County District Attorney's office with 3 felony counts of "Willful Violation of Occupational Health and Safety Standard Causing the Death of An Employee." The 3 counts have to do with (in Paul's formulation) "failing to correct unsafe work conditions in a timely manner, to require clothing appropriate for the work being done and to provide proper chemical safety training." Harran faces a maximum 4.5 years in jail, while UCLA faces a maximum $4.5 million in fines if found guilty. The reaction of the charged: Professor Harran is out of town and will surrender himself when he returns, according to his attorney. Harran's bail is set at $20,000. I find it ironic that neither the names of Professor Harran nor Ms. Sangji are included in their press release. As I expressed in an e-mail at the time of the founding of the center, "I find most of UCLA's changes (the high-profile chancellor-level surprise inspections, the lab safety center) to be the worst sort of top-down cosmetic change; it will irritate bench-level workers, alienate PIs and promote the feeling that most post-accident safety changes are about restoring the image of the institution rather than promoting the safety of the individual worker." I think this press release suggests that I might have been right. Harran's sense that "the administration and staff are scrambling to protect their own [hides]" is pretty much dead on as well. I think that's fairly reasonable, although we're going to re-litigate again and again and again how experienced Sheri Sangji was. There was this JACS paper and some analytical/computation work; I would consider her considerably more experienced than your average 1st year graduate student. That said, it doesn't speak directly to her ability to manipulate pyrophorics. My speculation: Just like Paul, I can't imagine that Professor Harran will actually serve any jail time for this; I presume that this is an opening gambit between the DA's office, the UC Regents and Harran to extract some sort of plea bargain. I predict fines for the UC system, some administrative changes and community service for Harran. The repercussions for the academic synthetic community are large and severe. Professor Patrick Harran is not a small name in synthetic chemistry; he's well known for the quality of his work, especially for a relatively young researcher. I believe the level of unpreparedness and the lack of safety in his laboratory was no more than one standard deviation away from the median synthetic lab in academia. Because of that, this case cannot be swept under the rug or forgotten. Pictures of Professor Harran and Ms. Sangji will grace Powerpoint slides of safety offices throughout the US academic science community from now on; I predict that "You don't want to be another UCLA" will become a refrain from top to bottom. Finally, I'm on record saying that (this is the full quote): "I think that it will take a professor (Patrick Harran?) being railroaded to really engender change on the part of academia overall, i.e. some professor being punished (and probably unfairly) that will *really* get the academic chemistry community to seriously address the issue from the professor level down." We're about to find out, and a lot sooner than I expected. Good morning -- hope you had a good break. Between December 22 and December 26, there were 14 new positions posted on the ACS Careers website. Of these, 6 (43%) were academically connected. Perform hands-on development and testing of new cleaning product formulations containing enzymes and hydrogen peroxide. Devise and implement strategies to enable enzyme - peroxide stabilization. Integrate technology into cleaning formulations, conduct activity assays to understand enzyme - formulation ingredient compatibility, and evaluate and optimize end-product performance. The position, which will be located at Arkema's Research Center in King of Prussia, PA, is funded for 12 months, with the possibility to renew for an additional year. Bartlesville, OK: Chevron Phillips is looking for a Ph.D. chemist to be a group leader; 3+ years experience and knowledge of sulfur chemistry is desired. Rockville, MD: The United States Pharmacopeia is looking for a Ph.D. analytical chemist with ten years experience to be their director of small molecules in their Documentary Standards Division. Sounds important. The boss makes one too many layoff jokes. Someone goes home really, really, really offended. The boss' wife tells parents how nice it is to get an evening to themselves after she's uninvited your kids. Someone hogs all the good rolls in the buffet line. Someone attempts shop talk by drawing structures on a napkin. There's a wild round of applause for the awesome support staff, who totally deserve it. Someone attempts to karaoke to Dr. Dre until the HR manager cuts them off. The boss tries to tell you how awesome his leadership has been. Someone gets drunk and tells off the boss. The bar runs out of liquor and someone makes a scene. There's a secret afterparty to avoid inviting *that guy*. [of course] Someone goes home with an invited guest... and regrets it in the morning. Merry Christmas, all. Best wishes to you and to your families and friends. See you on Tuesday. Someone I used to work with at Schering-Plough found himself (like many others in his position) out of a job in late October. He had a previously scheduled trip to Florida the next day, and as he boarded the plane, who should he see sitting in first class but Fred Hassan, the CEO of Schering-Plough who'd helped engineer the deal with Merck? I'd like to buy that man a drink. Heck, I'd like to give him a trophy. This is exactly what I'm talking about in terms of public shaming of executives who are involved in this mess. What is the essence of a 'good climate' that promotes esprit and gives birth to 'high performing units'? It is probably easier to feel or sense than to describe. It doesn't take long for most experienced people to take its measure. There is a pervasive sense of mission. There is a common agreement on what are the top priorities. There are clear standards. Competence is prized and appreciated. There is a willingness to share information. There is a sense of fair play. There is joy in teamwork. There are quick and convenient ways to attack nonsense and fix aberrations in the system. There is a sure sense of rationality and trust. The key to the climate is leadership in general, and senior leadership in particular. I can't agree with this statement enough. 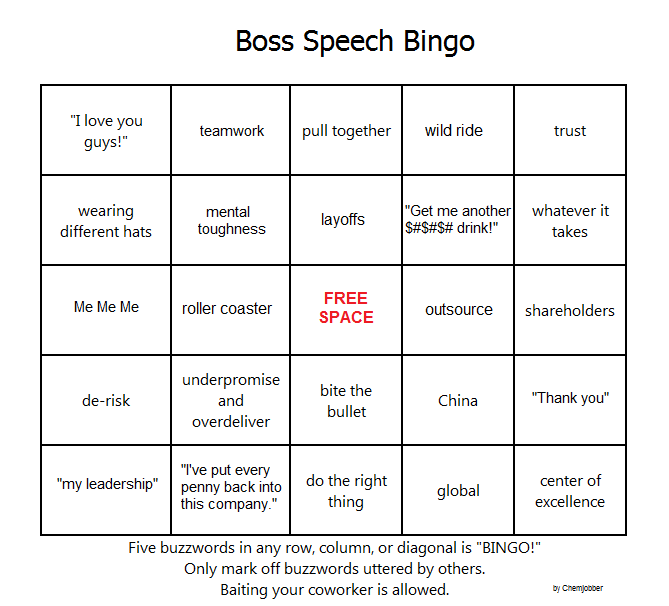 I especially like the bits about "joy in teamwork" and "convenient ways to attack nonsense." In a recent conversation, I described my thought process about a previous employer as 6 month windows (kind of like a Friedman Unit), where the question would always be "Will the company make it to the summer?" or "Will the company make it until Christmas?" 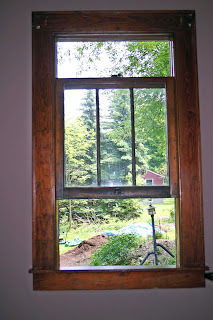 I said that, by comparison, I now feel like the window has lengthened by 18 months. I mentioned that I really couldn't imagine that window getting any wider, even if I were to work for a much-larger and/or prominent employer. 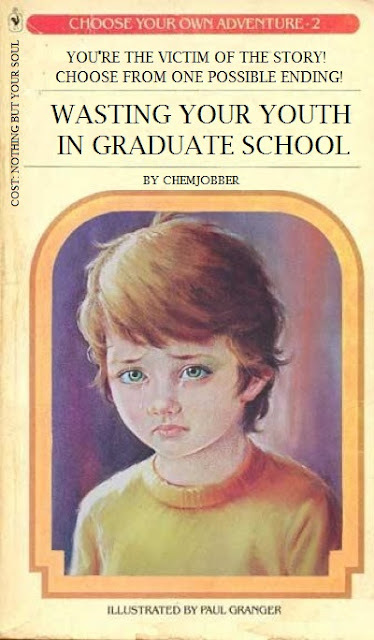 As I thought more about this, of course, my thoughts turned to tenure-track professors. By comparison, tenure seems like an infinite window. Even then, it's worth recognizing that funding situations change; nobody can predict the funding picture in 10 years for even the most august state-funded universities. By comparison, my father has worked for the same private company for over 30 years. I simply cannot imagine the concept of near-lifetime employment. It's my assumption that this option is closed to most chemists of my generation. Good morning! Between December 20 and 21, there were 13 new positions posted on the ACS Careers website. Of these, 5 are academically connected. Charleston, TN: Wacker Polysilicon is looking for analysts for its facility in Tennessee; they would like 2 Ph.D. chemists, one with 5+ years of experience. Zeroes! : Merck is looking for a Ph.D. chemist with 0-5 years experience in "preformulation, analytical chemistry or formulation development... "Candidates with experience in analytical techniques (e.g., X-Ray diffraction, differential scanning calorimetry (DSC), and high pressure liquid chromatography (HPLC)) and/or drug delivery (e.g., controlled release, transdermal) are preferred." Good luck. The Great North: Twin Ports Testing in Duluth, MN is looking for a chemistry lab manager for biomass fuel testing. "[C]urrently seeking an experienced professional with a passion for chemistry laboratory work. Minimum five years management and/or laboratory experience. BS in Science related field. Respirator use required. Ability to lift up to 50 lbs." Huh. Emeryville, CA: Amyris (them, again!) is looking for a Ph.D. analytical chemist with 5+ years experience; LC/MS, GC/MS experience desired. A broader look: Monster, Careerbuilder, Indeed and USAjobs.gov show (respectively) 238, 609, 2656 and 49 positions for the search term "chemist." David has a nice post on ISCO Gold columns. An interesting analytical technique using metathesis. Want to learn about a flavor chemist? Christine has a great post about one. Cheap Laugh Tuesdays still good for a link. Check out this dude's lack of PPE over at Th'Gaussling's. Billy Mays here! for catalysts! Synthetic Remarks is hitting it out of the park these days -- just keep scrolling. Over at Liberal Arts Chemistry, an post on home labs. Want to read about bourbon? Who doesn't? Process Wednesday: ARRRRGH! They're process chemists, dammit! Using synthetic biology to make pharmaceutical chemistry less expensive and less harmful to the environment. But that's too complex for Forbes, apparently. So it's "biology/science to the rescue of dirty chemistry" as opposed to "chemists improving chemistry." Disappointing. North Korea's "The Great Successor" also "The Great Synthesizer"
(KCNA) Pyongyang, DPRK: The Central Committee and the Central Military Commission of the Workers’ Party of Korea, the National Defence Commission of the DPRK, the Presidium of the Supreme People’s Assembly and the Cabinet of the DPRK are pleased to note to the world that Kim Jong Un, the Great Successor, has also achieved great feats in the highest field of scientific achievement, the total synthesis of marine natural products. In his very first synthetic campaign in 2010, Kim finished a synthesis of the complex marine natural product maitotoxin in 14 steps, according to state chemistry journals. Kim's impressive synthetic feat was marked with the catalytic, enantioselective synthesis of 30 of maitotoxin's 32 fused rings in a single step. During this remarkable achievement, Kim averaged no less than 98% yield and 99% enantioselectivity for each synthetic step. 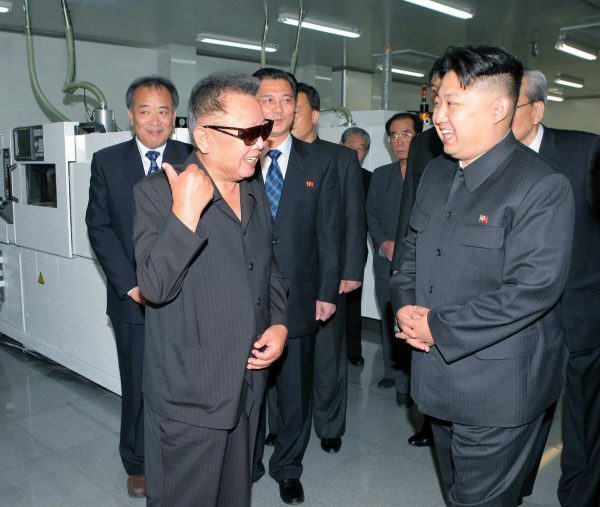 Pyongyang University of Science and Technology chemistry professors (along with their North Korean People's Army escorts) confirmed Kim's synthesis of maitotoxin via X-ray crystallography. Earlier this year, the Chemical Society of the Democratic People's Republic of Korea congratulated "The Great Synthesizer" on his stunning achievement that has eluded scientists in all other advanced nations. CSDPRK's press release noted that Kim's synthesis of 45 grams of maitotoxin was also protecting group- and solvent-free. Now that Kim Jong Un has climbed this near-invincible summit, he wishes to leave the bench and achieve greater heights as a leader and administrator. NB: Satire. Parody based on this Washington Post blog post and this KCNA news release. Good morning! Between December 15 and December 19, there were 70 new positions posted on the ACS Careers website. Of these, 19 (27%) are academically connected and 26 (37%) are from our friends at Kelly Scientific Resources. Dallas, TX: Peloton Therapeutics is a new oncology start-up that's looking for 2 positions: a B.S./M.S. research associate position and a Ph.D. senior scientist position, both for medicinal chemistry. Sounds good for somebody and you gotta love the name, I'd think. Austin, TX: Continuing on the Lone Star state trend, MicroSurfaces, Inc. is an Austin-based startup working on bio-related surface chemistry. They're looking for a M.S./Ph.D. organic/polymer chemist. While they're saying "competitive salary", I ain't buying that. Adelphi, MD: The Army Research Laboratory is looking for a postdoctoral fellow to work on organic and inorganic synthesis towards organic-based electronics. Laramie, WY: The Western Research Institute desires a Ph.D. chemist with 2-5 years of experience to research the properties of petroleum and asphalt and their changes after treatment. I hear it's windy in Wyoming -- I've always found it lovely there. Lexington, KY: Escent Technologies is an analytical instrumentation startup based on University of Kentucky technology; they're looking for a M.S./Ph.D. analytical chemist to join their staff as a research scientist. Experience with chemometric software desired. In its end-of-the-year assessment and outlook for the chemical enterprise, the American Chemistry Council concludes that “the recovery from the worst recession since the Great Depression has stalled.” The European Chemical Industry Council (CEFIC) is also concerned about economic growth. Both industry trade groups say chemical production in their regions will grow at a slower pace in 2012 than it did this year. The answer is likely not a simple one. Economic prospects going forward “represent a two-speed world” in which Asia outpaces other regions, write Swift and ACC colleagues who prepared the report. Developed nations, they say, will be constrained by debt, adverse demographic factors, and tight fiscal policies that could lead to slow growth and recession. Emerging markets will continue to grow, but not as strongly as in 2010, the economists add. After a strong rebound in 2010 from the Great Recession of 2008, the chemical enterprise encountered significant headwinds this year from high energy prices, a devastating earthquake in Japan, Europe’s monetary crisis, and a slowdown in China, ACC economists say. After falling 4.4% in 2009, global chemical production rose 10.0% in 2010, but it will increase only 3.5% this year, they note. Thaaaat's great. Well, hopefully this will be wrong. I'm amused to learn of Citigroup's "economic surprise index" , which shows the correlation between predictions of the US economy and the actual data. I've drawn a line through the zero line, which is the value that corresponds to an accurate prediction. As you can see, things aren't going so well in the forecasting biz. David Harwell, assistant director, ACS Department Of Career Management & Development, January 31. Kerry L. Spear, vice president of medicinal chemistry, Sunovion Pharmaceuticals, May 9. Ronald Breslow, University Professor, Columbia University, September 26. Interesting to see. We've covered 2 of those quotes directly here. Hopefully 2012 will have better quotes. Morning coffee cup made from the skull of a former graduate student who reported a 25% yield. Walked into E.J. Corey's office once without pushing the button. Designed 4 dresses that made it onto the cover of Vogue. Professor Y was a sniper in Vietnam with 15 kills. A postdoc challenged Professor Y during a group meeting; they had a duel that ended when Professor Y beheaded them. The group meeting ended on time at 12:15 am. Professor Y told their committee when they were graduating -- and they loved it! They don't have a bedroom at home -- they sleep on top of old Chemical Reviews with a copy of Chemical Abstracts as a pillow. Professor Y once gave Chuck Norris an 'F' on a p-chem exam -- that's why he's an actor now instead of a chemist. Can recite journal articles from memory; as a parlor trick, can recite supplemental information procedures. Doesn't have radio on while driving -- listens to computer-read Nature Chemistry articles in the car instead. Gave an exam so hard that a student's head exploded. You can still see the bloodstains on the ceiling in Room 358. Professor Y is a really nice person -- you just have to go BASE jumping with them a few times. When faced with a pile of CVs, perhaps 100 or more you need to do a (very) quick weeding out, rejecting the obvious non-starters, perhaps leaving 10 or 12 for further consideration. Does anyone stand out? Either because of their relevant expertise or because they work for a competitor whose products you know, or perhaps their CV shows some spark of life which you can direct into the channels in which my company is interested. After thinking more about the CV's content I try to only take forward to a meeting around 4, but no more then 6, applicants. Anyone who bothers to 'phone to discuss the position and shows some genuine interest and knowledge gets an automatic invitation. The first meeting can be the decider. Personality is the key, all the qualifications and expertise in the World will not get you the job. Often within the first 5 minutes, or less it is obvious who will fit. As an employer I cannot have anyone on the team who will disrupt an organisation which may have taken years to build-up. Especially in laboratories situated on a manufacturing site, as most are, the 'works tour' quickly sorts out those who cannot relate to the operators in their overalls. Readers, do you trust "personality" to know who to hire? Thanks to Anon121620111241a for writing in and sharing the benefit of their many years of experience. It is appreciated. 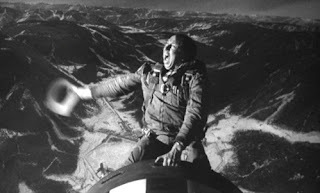 ACS Webinars today: Not enough DOOOOOOOOOOM? Get more DOOOOOOOOOOM. Paul Hodges, blogger of Chemicals and the Economy, purveyor of the Downturn Alert and all-around DOOOOOOOOMer (TM Uncle Sam), will be doing his 2011 review and 2012 outlook with Bill Carroll as moderator. That's today at 2 PM EST. Pharma labor market looking up? Really? A lot of media attention in 2011 has been has been devoted to the BLS (US Bureau of Labor Statistics) Unemployment Report. You may have wondered, "What are the implications for my industry, Life Sciences?" Since we are winding down 2011 and looking forward to 2012, I wanted to share some brief perspective from Klein Hersh International with you. As a niche provider of executive search and consulting services specifically targeting the Life Sciences vertical for the past 12 years, we have experienced six consecutive record breaking months. As our business has traditionally been a leading indicator of what is to come from a broader macroeconomic perspective, we feel that we are in the early stages of tremendous reinvigorated growth in the Life Sciences. We see and feel further reinforcement as we speak daily with thousands of hiring managers, key decision makers, and top professionals in the industry. 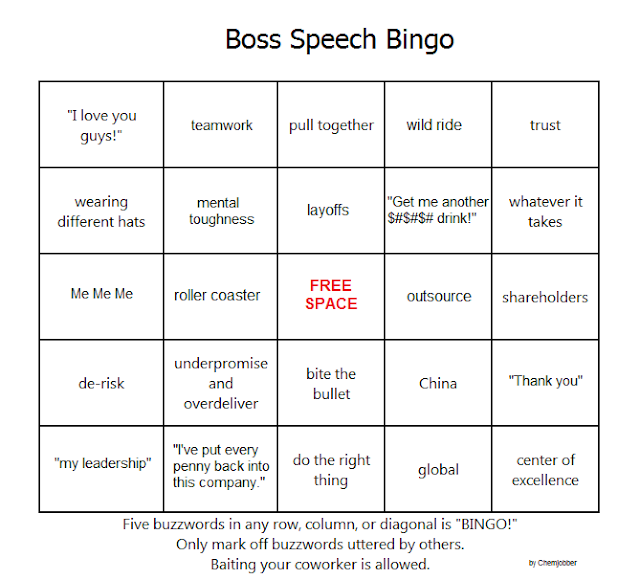 We are collaborating with these people right now to bolster their teams for strategic growth, and / or personal career enhancement to be best positioned for this growth in 2012 and beyond. Below is an update about the broader employment market in November, which reflects slow but consistent overall economic recovery. Not exactly consistent with what is reported in the media, is it? Typically, the belief is that life sciences companies have very different pressure than the broader economy and employment market. But what do you think? As you begin to build and execute your talent plans for 2012, we hope you'll engage with us further in this dialogue. Huh. I don't think there's any really compelling reason for them to lie, but I find this to be not really what I'm seeing from the broader macroeconomic trends. While I do see some positive signs in the overall labor market, I think I see far more threats (Europe, outsourcing, pipeline problems, decreasing labor force participation) than I see promising signs. Nope, don't see it at all. In so many areas, it was not possible to be knowledgeable without getting a Ph.D. and doing a postdoc. Guns and hunting provided an out for men who wanted to be know-it-alls but who couldn't afford to spend the first three decades of their lives getting up to speed on quantum mechanics or oncology. You simply couldn't go to a gun range without being cornered by a man who wanted to talk to you for hours about the relative merits of side-by-side versus over-and-under shotguns. So, so, so true. Nerdness is all over, some areas are just a little more obscure than others. Good morning! Between December 13 and 14, there were 36 new positions posted. Of these, 3 (8.3%) are academically connected and 25 (69%) are from Kelly Scientific Resources. Old Spice: Once again, McCormick and Company (the spice company) is looking for Ph.D. chemists who are senior flavor scientists. 3 positions in the last 2 days -- minimum 10 years in the flavor industry. Uh, good luck with that. Boulder, CO: Kelly Scientific is recruiting for (it seems) a full-time B.S./M.S./Ph.D. natural product synthetic chemist position, 2-3 years experience desired. Who is this for? North Charleston, SC: MeadWestVaco desires a B.S. product development chemist; 2-5 years experience in the chemical industry desired. Pine chemicals experience desired, but not necessary. Kelly: I hate to do this, Kelly, but you leave me no choice. Are you a chemist? Do you like working in a chemistry lab? Kelly Scientific Resources would like to know if you want to be a shipping and receiving coordinator, a bare die manufacturing engineer or a site master planning staff engineer. Sigh. A broader look: Monster, Careerbuilder, Indeed and USAjobs.gov have 243, 653, 2,930 and 49 positions posted for the search term "chemist." The academic job market: After a year and a half off, I'd like to start looking at the academic job market again more thoroughly. Does anyone have a cutesy name for the weekly post I'd like to do? DPT is aimed squarely at the working chemist (I try, anyway); I'd like the new feature to be aimed at people who want to teach for a living. It's difficult to think what this would be like at a pharma company; it'd be as if the CEO of Merck or Pfizer had his own hood in the lab or was personally directing clinical trials (right?) Wow. 24. What is Claisen’s alkali? For what separations can it be used? Phenols may be separable from neutral substances by liquid/liquid extraction with aq. base, if the molecular weight is not too high. This is not a guaranteed success because phenols are only weak acids and the alkali phenolate, particularly as the molecular weight increases, may simply be water insoluble. Because the free phenol in this situation is lipophilic, the phenolate in the presence of both water and an organic phase may substantially hydrolyse back to sodium hydroxide and the free phenol. the neutral phenol “happily” jumps into the organic layer. For example, if a 10 ml. solution of 0.01 mol of 2,4-dimethylphenol is reacted with one equivalent of alkali in water and is then shaken with 20 ml of ethyl ether for about 10 minutes, the amount of the phenol found in the ether is 43% and the water is strongly basic. The amount extracted depends upon the ratio of alkali to phenol, the ratio of the phases, and the particular organic solvent used. In the case of 2-isopropyl-5-methyl-phenol (thymol) the amounts extracted by different solvents under the above conditions are: ether, 88; benzene, 38; carbon tetrachloride, 25; and pet. ether 22 percent. In the extreme case of di-ortho substituted phenols there is steric hindrance to the solvation shell that is needed around the oxygen anion, which makes the anion formation energetically disfavoured. With di-ortho phenols, even when the molecular weight is rather low- the phenol will not dissolve in aqueous sodium hydroxide. For that reason such species were called cryptophenols in the days before spectroscopic testing, because these phenols did not give the characteristic qualitative test for a phenol. Cryptophenols can be dissolved in methanolic-KOH called Claisen’s alkali. So I suspect that Claisen's alkali can be used in the extraction of phenols and other somewhat acidic functional groups (carboxylic acids) from fairly non-polar solvents? I confess, I'm not completely sure on this one. Among the interesting tidbits that the ChemCensus brings is the full-time industrial chemist salary quintiles. I'll just let you sit and read that table. 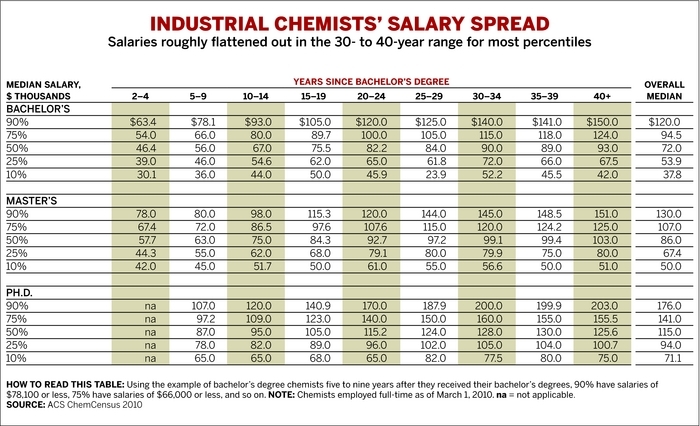 For my industrial readers, of course, there will be the natural tendency to look at how your salary compares to that of your fellow chemists. But what I'm most interested in is the change over time of the top, median and bottom salaries between the 2010 ChemCensus and the 2005 ChemCensus. With that in mind, I've prepared a Google document that indicates the change between the 90th, 50th and 10th percentiles in the last 5 years for B.S., M.S. and Ph.D. chemists that are 20-24 years after their bachelor's degree. That amount of experience was basically chosen at random -- readers can disagree about the variables that introduces or excludes. It appears to me that, over the past 5 years, the 90th percentile of chemist salaries is pulling away from the 10th percentile of chemists. The fall in the 10th percentile of chemist salaries is perhaps shocking. I note that 1) I don't know if my calculations are correct, 2) if correct, what it means and what should be done (if anything?) about it. I find it fascinating that the median salaries have actually increased healthily (noting, of course, that the 90th percentile is doing even better, with the exception of M.S. chemists. Huh?) I think I need more data. I'm on record saying that that I'd like to blog at least "until this unemployment thing comes around." (2nd to last paragraph) Considering that doesn't really look like it's going to happen anytime soon, I guess you all are stuck with me. Thank you so much for reading, commenting, e-mailing, correcting me, critiquing me, Tweeting and linking. Good morning! Between December 8 and December 12, there were 27 new positions posted on the ACS Careers website. Of these, 9 (33%) were academically connected. Andover, MA: Cambridge Isotopes is hiring B.S. chemists with 2-4 years of experience for batch synthesis of isotopically-labeled compounds. Not exactly a growth field, but nice to hear. GMP experience desirable. And in other news: Cambridge Isotopes is hiring a Ph.D. analytical/organic chemist for a senior QC chemist position. Cheese: The Hilmar Cheese Company (Hilmar, CA) is looking for a M.S./Ph.D. research chemist for research and quality control work. Apart from the typical chemist requirements, you need a "[b]asic knowledge of dairy chemistry, specifically in the field of dairy protein and lactose chemistry." Zeroes! : Agrium Agriculure Technologies (Sycalauga, AL) is looking for a Ph.D. chemist (0-5 years experience) to become a product development chemist; the company appears to make fertilizers and other products for agriculture. Saskatchewan! : For my readers north of the border, the government of Saskatchewan would like to hire a B.S. chemist to be a hazardous materials/spill Environmental Project Officer; you will be based in Regina, Saskatoon or Prince Albert. I'm going to guess that this is a pretty thankless position, really, considering that you're going to be trying to keep the potash industry from doing the wrong environmental thing. Ann Arbor, MI: Wacker Chemicals is looking for a M.S./Ph.D. chemist to be a production manager for their silicone/silica-based business. 5+ years experience. Albuquerque, NM: Sandia National Laboratories is looking for a B.S. chemist to be an electrochemical technologist. Curious what the pay level for this is. AMRI/Lilly: When should public shaming of execs start? Can anyone give a defense of either AMRI or Lilly in this (IMHO) execrable "AMRI at Lilly" deal? I suppose it's "hey, we could just not hire anyone." I find this whole thing odious. That said, here are the links to the 20 new B.S./M.S. positions and the 14 experienced (2-5 years) B.S./M.S. positions being advertised. At what point do we as a community of chemists start advocating public shaming of managers/executives who put together these deals? Are there lines to be drawn? Have they already been crossed? 2010 ChemCensus is out: not much good news. The results of the ACS ChemCensus that was held in 2010 is out in this week's issue of Chemical and Engineering News in the writeup by David Hanson. Reported salaries were all down, with the exception of median B.S. chemist salaries. As we've known for a while, the unemployment rate of all respondents in March 2010 was 3.8%, which is 0.1% lower than 2009. That 2009 was a 20-year high for the ACS Salary Survey. The "U6-like" number for the ACS Salary Survey data (including part-time, post-doc and unemployed) is the highest in ten years, at 11.9%. Hanson notes the other side of this statistic, the lowest full-time employment of chemists since at least 2010. 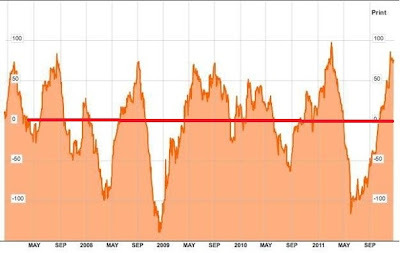 I'll note that I predicted a U6-like number at 12% way back in 2009. Good to know I'm only a year late. 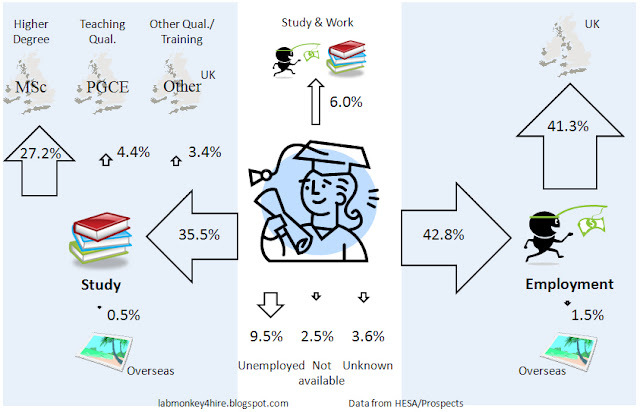 Unemployment is negatively correlated with education, with B.S. chemists at 5.1% unemployment and Ph.D. chemists at 3.2%. M.S. chemists (the legendary 'most employable') come in at 4.8%. The "ten year" rule still holds; among age cohorts, the 30-39 age group has the lowest unemployment at 2.5% and the 40-49 age group jumps to 3.6%. The bad news isn't over yet -- the 50-59 age group has the highest unemployment at 4.7%. 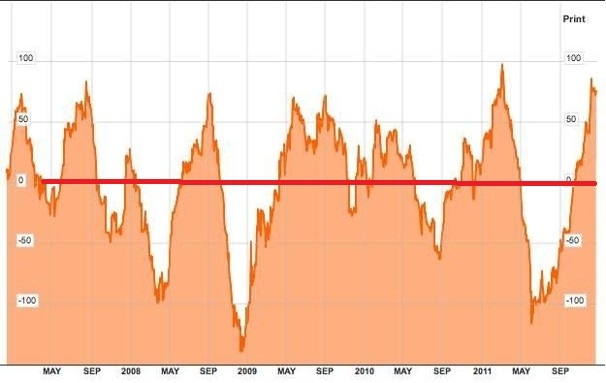 This is lower than 2009's 5.0%, but not by much. I note that the "small company discount" is alive and well. Median Ph.D. salary for a company of 10 or fewer employees? $49,200. Median Ph.D. salary for a company of 11-20 employees? $86,200. That's close to a 50% discount. Wow. More soon. Readers, here's the article. What do you see? The Eka-Silicon caveat: The ACS Salary Survey and the ChemCensus have both had relatively low response rates from members, which limits the extrapolatability of the data. This year's response rate for the ChemCensus was 47%, which is much lower than the 80% that professional survey types like to see. A discussion of this can be found here. At the same time, ACS unemployment numbers for their members more-or-less track the BLS survey data for chemists (see linked graph). One more thing: All of the 40,480 responses were hand-entered by the ACS' Deparment of Research and Member Insights. Research associate Gareth Edwards (I believe) was responsible for much of that. This is a huge undertaking, and he should be commended for it. [Ding ding ding] Could I have your attention, please? 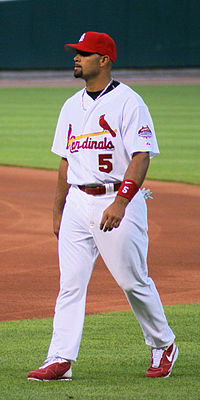 Who's the Albert Pujols of pharmaceutical chemistry? I'm relatively unaware of any pharmaceutical process or medicinal chemistry departments that have made similarly large personnel moves, even in the good ol' days. I'm sure there were many behind the scenes maneuverings back in the day, with directors moving from company to company, bringing along their best lieutenants. I'm going to guess such moves just don't happen these days. *Sincere condolences for those who have to pack up the gloveboxes and put them on the moving trucks. It seems that professors never seem to hire movers for that sort of thing. Navsys appears to have 5 (five) openings on their website. Neustar appears to have 32 openings on their website. Job growth must be happening at other companies, I suppose. We also get the huge conflation of the "S" with the "TEM". It seems like TEM jobs are well-paid and regularly looking for people, while there's plenty of labor supply of the "S" and relatively few openings. The problem, the business leaders said, boils down to the dearth of qualified people with expertise in science, technology, engineering and math, collectively known as STEM. Hook, the telecommunications executive, ticked off what she called troubling statistics: By 2018, there will be 1.4 million computing job openings in the United States, but given graduation rates, only 29 percent of those jobs will be filled by U.S. graduates; 40 states produce fewer computing graduates than needed to fill projected openings in their states; and the number of girls studying computing has declined 13 percent in the past 10 years. The statistics come from the National Center for Women & Information Technology, which culled the numbers from various government departments. “We need a lot of federal assistance in encouraging children to go into STEM, we need to make it accessible and available starting in the ninth grade,” Hook said. Nothing quite like lobbying Congress to cut your business costs -- sigh. After the panel, Trautwein said she had hired highly experienced people for low-level positions, only to have them quit two months later. Her advice to people applying to jobs for which they are overqualified: Explain yourself up front, either in the cover letter, or at the beginning of the interview, and make a case for why you are willing to take a position far beneath your skill level. Sowhatyou'resayingis, people need to drop their dignity and grovel a little harder. Good morning! Between December 6 and December 7, there were 12 new positions posted on the ACS Careers website. Of these, 6 (50%) were academically connected. Adhesives! : Adhesives Research, Inc. is once again looking for a M.S./Ph.D. chemist with experience "in the formulation and synthesis of pressure sensitive and laminating adhesives." You'll be working in the industrial tape division -- it's kind of amusing to learn that there is such a thing. Ink! : DuPont is looking for a M.S./Ph.D. chemist for a technical supervisor position in their photovoltaic ink section (? ); 5+ years experience in the chemical industry, with QA experience is desired. Glass! : Solutia is a company that makes the polymer layer in safety glass; they're looking for a Ph.D. organic/polymer chemist to perform R&D for them. A broader look: Monster, Careerbuilder, Indeed and USAjobs.gov show (respectively) 247, 676, 3025 and 40 positions for the search term "chemist." Sometimes it feels this way, doesn't it? I had finished my Ph.D. in 1970 and worked for many years in industry before the technique of HPLC became routinely used: first, in the analytical laboratory and subsequently by process chemists as a tool for following reactions as well as analysing products. I still remember the days when TLC was used, not just for qualitative analysis but also for accurate quantitative analysis of finished APIs. It is still useds in its HPTLC modes by some companies, particularly in Germany, as an accurate quantitative method of analysis, but the technique has been forgotten as a quantitative method by many younger chemists. TLC has some major advantages over HPLCs -- cost being an important one. This means that it can be used in all circumstances, such as on the manufacturing plant. Since it is simple to use, process operators can easily perform the technique accurately. The second major advantage is that you see everything -- if you use correct visualisation (spraying and heating as well as UV visualisation) whereas with HPLC it is possible for impurities either to be retained on the column or to be late eluters which impatient organic chemists, but hopefully not analysts, might miss. On a consultancy project in which I was recently involved, TLC was the only way in which a particular impurity could be detected and quantified. It is a useful adjunct -- or a reality check -- to HPLC in many instances. [snip] So those of you who have abandoned TLC -- particularly quantitative TLC -- in favour of only HPLC, remember that TLC also can mean: The Lowest Cost. I'm intrigued by the concept of having process operators perform TLC in the manufacturing plant; I think it's doable, but I think it would take a good bit of training to have relatively new operators correctly interpret TLCs. 1. Laird, T. Org. Process. Res. Dev. 2006, 10, 1. As a young graduate student, I would love some advice on how and when to participate in certain "career milestones" so that I can at least be proactive about my job prospects later on. For instance, if I want to pursue an academic career, what should I be doing at certain points in graduate school, at what point should I start thinking about post-docs, when should I apply for them, and how should I go about finding them, etc, and how does this compare to an industrial route? Once graduate school is done, how can I put myself in the best position not to be unemployed? We see a lot of forecasting on this blog and a lot of "what to do after the fact," but I would find it really useful to have some perspective on how to pre-empt some of these issues. There's a lot of good questions in there. The basic gist is this: you need to start preparing for post-graduate school employment at least a year in advance, if not more. If you want to go the academic route, I believe that you're supposed to send your application package (cover letter, CV, research summary) to your professor a year before you'd like be there. (This means, of course, that you need to have a decent idea of when you're done with your thesis, when your committee is agreeable for you to defend, etc.) It also means that you need to have to have accomplished something of substance by that point; a couple of papers' worth of material is probably a nice minimum goal to shoot for, although some of our more august readers will probably say that you need more. For the industrial route, there's probably not too much difference between what I've laid out for the academic route. That said, larger companies tend to hire on a cycle that starts with campus interviews and other applications in the autumn and ends up with site interviews (and hiring!) in the winter and spring. * The academics tend to go off of a "rolling admissions" basis, to borrow a phrase from the undergraduate admissions world. Readers, what do you think of my recommendations? What would you recommend to MB? *That also means (for site interviews) that you need to be able to give a 45 minute presentation on your work. Good morning! Between December 1 and December 5, there were 311 new positions posted on the ACS Careers website. Of these, 14 (5%) were academically connected. West Chicago, IL: Blachford, Inc. is a company that makes noise absorbers from polymers; they're looking for a B.S. chemist with 1 year of laboratory experience. Polymer chemistry coursework is "essential"; sounds interesting. York, PA: Adhesives Research, Inc. is a company that develops adhesives for the medical device and pharmaceutical worlds. They're looking for a M.S. chemist with a background in polymer analysis. Well, then, sign me up! : The American University in Beirut, Lebanon is looking for a non-tenure-track professor of analytical chemistry. Kelly: Holy Kelly, folks. 281 (90%) positions posted by Kelly Scientific Resources, the majority of them chemistry and/or tech-related. There's a few synthetic positions buried in there -- looks like Dow Agrosciences in Indy is hiring temps now. China Corner: Haisco Pharmaceutical Group (located in sunny Chengdu, China) is hiring, well, everyone. Synthetic organic chemists welcome, too. I should really attempt one for ACS data -- I think it might be a little more difficult to develop, but we'll see. "According to a study by economists Benjamin F. Jones, of Northwestern University, and Bruce A. Weinberg, of Ohio State University, the average age at which Nobel Laureates in Physiology or Medicine, Physics, and Chemistry do their prizewinning work is on the rise (Proc. Natl. Acad. Sci. 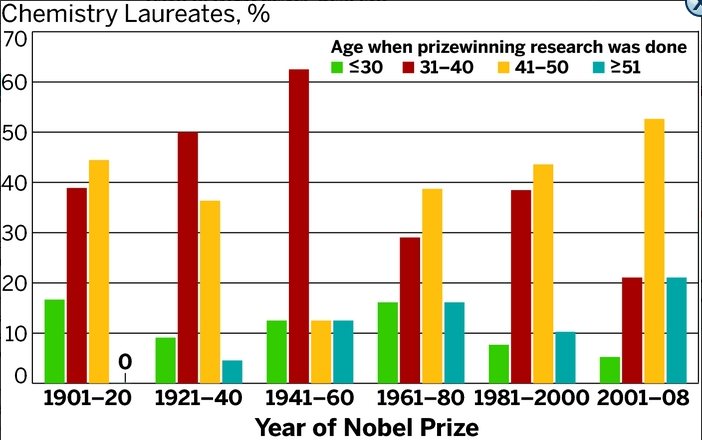 USA, DOI: 10.1073/pnas.1102895108) More than half of the Nobel Laureates in Chemistry from 1901 to 1960 did their prizewinning work by the time they were 40. 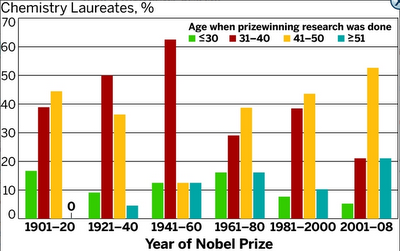 Since 1961, prizewinners were more likely to have done their acclaimed work after their 40th birthday. At first blush, Jones and Weinberg’s study may seem like good news for researchers who don’t have to think of themselves as past their prime just because they’re past their 40th birthday. But Jones tells C&EN that the implication of his finding is a bit less rosy: Scientist may be spending their most creative years being trained, as doctoral students and as postdocs, rather than doing their own innovative research. “There’s a long-standing view that people are at their most productive as innovators early in their life cycle,” Jones says. But, he points out, if it’s true that people have to become experts before they can innovate, then scientists are spending more of their years training and less of their time innovating. Consequently, their lifetime contributions as scholars are going to be smaller. Jones estimates the decline in a given researcher’s career output is as high as 30%." I used to have a biochemistry professor who would mutter to his classes, when covering a fundamental topic, "...And Professor X won the Nobel Prize for this -- shows how little you had to do to win the Nobel Prize back then..."
I'm reminded of him when you look at the graph -- it's fairly obvious that there was either 1) a couple generations of geniuses from 1921 to 1960 or 2) lots of fundamental discoveries to be made at that time. Th'Gaussling on the rare earth boom. An interesting contrast in opinions on work-life balance. A note to any bloggers out there -- want me to link to your post? Just e-mail me! Six months ago, Roberto Solari talked eagerly about his research into the mechanisms that govern asthma. Now he must let someone else finish the job. Solari, who until last month headed one of GlaxoSmithKline Plc (SAN)’s targeted research units, is one of the casualties of the company’s new approach to drug discovery. Chief Executive Officer Andrew Witty turned up the dial on an overhaul initiated by his predecessor after he took over in 2008, dividing six disease-focused research centers into smaller teams known as Discovery Performance Units. The teams, or DPUs, compete for funds bestowed every three years after a review. Those that fail to meet their targets may get disbanded. Solari, an unassuming 55-year-old scientist of Italian origin, is still working at the company and no longer heads the team, Morgan said. She declined to comment on the reasons for the change. So did Solari. Glaxo has been hunting for ways to encourage teams to cooperate, according to Vallance. One example, he says, is to give credit for inventing a molecule that gets picked up by another one of the company’s 38 DPUs. ACS Webinar: "How to Secure and Nurture a Vibrant Chemistry Career in the 21st Century"
ACS is hosting Brian Fahie, Senior Director, Analytical Science R&D, at Eli Lilly; he is responsible for Lilly’s global analytical efforts supporting small molecule active pharmaceutical ingredient (API) development. He'll be talking about growing your career in the 21st century with Patricia Simpson, director of career services at UIUC's Department of Chemistry. The Layoff Project: "I feel frustrated that I cannot help anyone"
Previously, I had a terrific career at [large pharmaceutical company], where I was an organic/ medicinal chemist of excellent standing (going by what my associates think of me). After stellar years (18+, in these times it is embarrassing to talk about your experience as it also speaks of your age! ), [Large Pharma] separated from me (3 years back) and there were many other friends of mine in that list. I have to say that [Large Pharma] treated me reasonably well (as opposed to other horror stories, I have heard) and as a matter of fact my boss accompanied me (his eyes were bloodshot, I recall) on that day of my departure to the exit gate. That said, it does not take away the fact that, I was mad as hell. I was angry for the simple reason that the years of training in several programs had given me an air of confidence (ahead of the curve in terms of understanding the science at the interface of biology, chemistry, ADME, DMPK etc.) and it felt good. During those years at [Large Pharma], I had worked on and impacted on many programs that delivered varied molecules for clinical studies (Rheumatoid arthritis (Phase-2), Obesity (Phase-3), and a macrolide antibiotic, [redacted] for veterinary use). Then there were other programs that petered out, but important lessons were garnered. Imagine my frustration, when I thought I could deliver lot more and then this parting happened. In many ways I felt like, I was nipped off even before I fully bloomed. Good morning! Between November 29 and November 30, there were 12 new positions posted on the ACS Careers website. Of these, 5 (42%) are academically connected. Slowing down? : With Christmas coming, I'll bet the jobs start trickling down in number. Emeryville, CA: Amyris, long a stalwart of ACS Careers, is looking for a Ph.D. analytical chemist with 3+ years of supervisory experience. Sounds like a QA advisory role is embedded within, as well. Zeroes! : BASF is hiring a B.S./M.S./Ph.D. chemist for a plastic additives position. 0-5 years experience for a Ph.D., with ascending experience requirements for B.S. and M.S. chemists. The position is in Tarrytown, NY. A broader look: Monster, Careerbuilder, Indeed and USAjobs.gov show 266, 698, 3003 and 41 positions (respectively) for the search term "chemist." Weekend trip to Boston to see an old friend. It was cool and all, but the neatest thing I saw was Shaq's head floating above a crowd of onlookers. 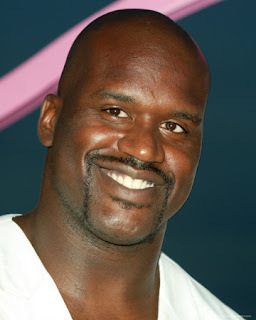 Did I mention I hate the Lakers? Blasted through my cell phone minutes and paid $200+ in overage fees. Ooops. Missed credit card payments early on -- you know, that's a really good way to get your APR raised on you. Paid for many, many, many forgettable restaurant meals by putting them on my credit card balance. Bought many intended-to-be-read-but-never-quite books on my credit card balance. Not having a roommate early on in grad school. Dude, cut your rent in half? Speeding tickets. Short-term expensive, long-term expensive. That said, after I graduated, a lot of things changed about life and it wasn't very hard to rebalance my/our lives to pay off the student loans that I took out to cover my dumb credit card debt. We were very fortunate in this regard -- a bad illness or accident could have made things much, much worse. Undergrads, grad students and postdocs, be careful with your money.